Whether you are a veteran or new to the genre, these fully complete arrangements will give you the sonic inspiration to delve deeper into compositional styles, allowing you to mix and match elements in a unique way that will make your tracks literally "jump" out of the woofers! 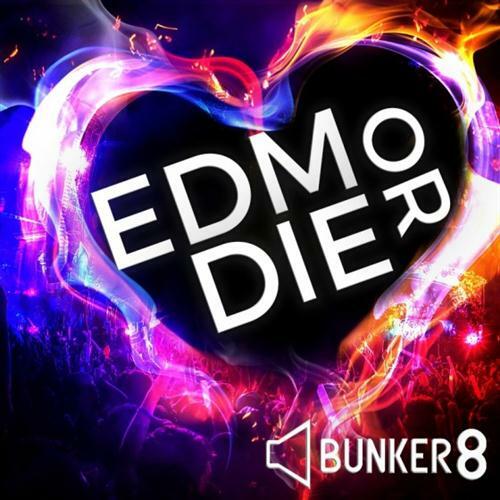 Bunker 8 have over 290 pieces of audio content at your disposal, just ready for you to drop into your next EDM smash composition. All eight Construction Kits have been carefully edited and sample edited so that each loop is completely seamless and will perform flawlessly on any DAW/development you happen to choose. Bunker 8 have been developing sample content for over 18 years, they have provided industry leading content to the best producers, soundtrack composers, video game audio specialists and composers in the industry. Each Kit contains a full sample mix, plus all of the elements separated and set out for you to mix and match to create your own corrosive concoction. Bunker 8 uses proprietary sample looping technology so that each cycle of either format joins seamlessly together throughout your compositions. That means you can stretch these loops really far with limited or no digital artifacts. All the Kits have been processed using Neve, Soundcraft and SSL consoles at the mixing stage, so you know these are ready to go.